If you are learning to fish for the first time, the sheer volume of fishing techniques out there can be both overwhelming and confusing. The most important thing to remember is that fundamentally all recreational fishing follows a very simple and universal approach, namely getting your hook into the right place in the water, and getting a fish to bite it. Where the variety comes in is in the many many methods, techniques and equipment used to place the hook in the water and to keep it there, and also the many methods of fooling a fish into biting your hook. Fishing techniques vary depending on environment, season, and the species of fish you are hunting. The type of equipment you can or cannot afford will also have an impact. One thing is certain however, the massive choice available in terms of fishing techniques means that where you are, and whatever your budget, if there’s fish in the water there’s a fishing technique that will help you to catch them. The simplest and most economical method of fishing is of course handlining. There is no need for expensive fishing equipment here, and if all else fails you can even make your own equipment from materials in the environment. Handlining involves a line, a hook, a sinker, bait, and sometimes a simple form of reel. All other fishing apparatus are simply more evolved versions of one or more of these components. Fishing techniques such as jigging and trolling are methods of using bait or lures in order to entice fish to bite. 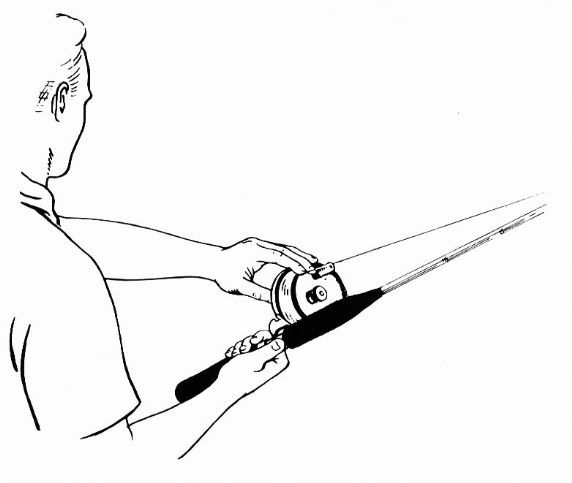 Both of these methods can be used in conjunction with other fishing techniques, depending on the environment in which you are fishing. Casting is another generic form of fishing technique. How you cast your line depends on where you are fishing – on a bank, from a boat, through a hole in the ice even. It also depends on the weights you are using and where you are positioned in relation to your target fish. Casting is at its most unique in the art of fly fishing, where the lures are first moved over the water mimicking the flight of certain insects before landing on the surface. The casting process in fly fishing is the most unique and defining aspect of that fishing technique, and is instrumental to the process. The techniques that you use to fish will vary depending on where you are positioned in relation to the water. For example bank fishing has an entire set of techniques of its own that are geared towards locating and successfully catching fish from a bank or shore. Float tube fishing puts the angler literally in the thick of it, sitting just above the water level in an inflatable floatation device. Again the techniques for casting are different here, due to the position of the angler. Rock fishing and surf fishing have much in common, both placing the angler some distance from the shore and close to deeper water. Casting here can be very important, due to the extended reach that is often required by surf fishermen. However on occasion rock fishermen will fish the rocks directly below them, a tactic that requires techniques of its own. Bottom fishing requires precision in choice of weights and extensive knowledge of low level fish and their eating habits. Ice fishing is another almost specialist area, which has its own set of methods and approaches due to the environment in which the angler is working, while kayak fishing and kite fishing all require fishing techniques that are suited to their approach.